What Is Malaria? And Are You at Risk? 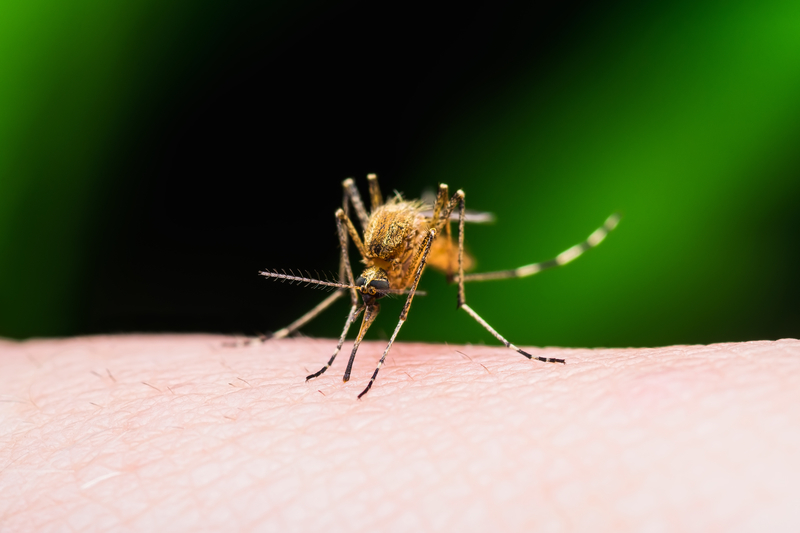 In the developed world, mosquito bites for the most part are an itchy nuisance. But for those living in areas where malaria is endemic, mosquito bites are a major cause of disease and death. Most of the 216 million cases of malaria reported last year were in Africa (more than 90 percent). The disease, potentially fatal, is spread via the bite of the Anopheles mosquito. Carried by mosquitoes, malaria is a life-threatening parasitic disease. The World Health Organization (WHO) estimates that there were 216 million cases of malaria, in 91 countries in 2016, up 5 million over 2015. Ninety percent of cases and 91 percent of deaths occured in Africa. To put it in perspective, malaria kills one child under the age of 5 every two minutes. In the United States, there are only around 1,700 cases of malaria diagnosed every year—most in travelers or immigrants returning from countries where malaria is common, or endemic. While working in a rural hospital in Malaysia years ago, I witnessed first-hand this devastating disease, one that can take the life of a healthy individual within a day of symptoms developing. Whole wards were devoted to the treatment of malaria, and fatalities were an everyday event. To catch malaria, you must be bitten by a mosquito—not any old mosquito, but the female Anopheles mosquito, known as a “malaria vector” (carrier). The mosquito must also be carrying a parasite from the Plasmodium family of parasites, of which there are five species that cause malaria. The two most dangerous species are P. falciparum and P. vivax. Many people miss the early symptoms of malaria because they are vague, mild, and similar to other infectious diseases such as flu. Usually within 10 days to a month following a mosquito bite, the sufferer may develop a fever, headache, and chills. In rare cases, symptoms may develop several months later. P. falciparum malaria can progress rapidly, with a person becoming seriously ill within 24 hours—even dying if not treated. Multiple organ systems may be affected. The parasites can lie dormant in the liver, causing a person to become sick when the parasite is reactivated months to years later. Children often present differently, with severe anemia, shortness of breath (due to metabolic acidosis), confusion, and coma (due to cerebral malaria). In areas where malaria is common, those who survive a first infection may develop partial immunity and suffer from silent (asymptomatic) infections. Am I at Risk of Developing Malaria? If you live in the United States or Europe, you are at very low risk of catching malaria unless you travel to an endemic country. Those at highest risk of malaria include children under 5, pregnant women, patients with HIV/AIDS or other immune system problems, migrants, and travelers who have not grown up in an endemic area. Climate is one factor that can affect malaria cases. In many places, malaria risk is seasonal, peaking during and after the rainy season. How do you catch malaria? The Anopheles mosquito lays eggs in shallow freshwater, and they hatch into larvae, which emerge from the water as adult mosquitoes. The female mosquito bites a human in order to collect blood to nurture her eggs, and as it does so, it transmits the parasite to the human host’s blood. The most risky time of day for bites is between dusk and dawn. African mosquitoes have a long lifespan, allowing more time for the parasite to develop—thus the higher risk of disease in Africa. While malaria is not a contagious disease (that is, it can’t be spread from person to person), rarely malaria can also be spread through blood transfusions, organ transplants, shared use of contaminated needles, and from mother to fetus. There are a number of steps those at risk should take to prevent malaria. Prevent bites. If you don’t get bitten by an infected mosquito, you can’t catch malaria. So “vector control,” or bite prevention, is the mainstay of prevention. Two main forms of vector control are sleeping under insecticide-treated mosquito nets (such as with permethrin) and spraying of indoor living areas (residual spraying). If you’re traveling to an at-risk area you would be wise to take a treated mosquito net with you and buy a good mosquito spray (containing DEET) when you reach your destination. Ask for a room with screens on the doors and windows. Research is ongoing to find new insecticides, as resistance to the commonly used “pyrethroids” is increasing. It also may help to wear long clothes if you have to go outside between dawn and dusk; light colors are preferable. Antimalarial drugs. Antimalarial medicines are very useful for travelers. These medications suppress the blood stage of the infection, preventing an infected bite from becoming malaria. Check with your doctor and the CDC a month before traveling to learn the best prophylactic therapy at the time for your destination. Do not wait until you arrive; it is best to start treatment a few weeks before travel. Vaccines against malaria. Mosquirix is a new vaccine that provides partial protection against malaria in young children. It is being evaluated in sub-Saharan Africa. Doctors in areas where malaria is endemic will routinely test for malaria in anyone with a high fever. Problems can occur among travelers returning home to the U.S. and other developed countries from areas where malaria is more common. Despite symptoms, malaria may be overlooked at first, leading to late diagnosis and, in rare cases, fatalities. So if you travel to an endemic area and become ill within a year, make sure that the medical practitioner you see takes note of your travel, and ask that you be tested accordingly. Diagnosis is confirmed by a blood test, either by microscopic examination of blood or the “rapid diagnostic test.” Both can usually be done within 30 minutes or less in a well-equipped laboratory. Accurate diagnosis of malaria will guide the choice of treatment. Resistance to antimalarial drugs has been a problem since the 1950s; new treatment protocols are constantly being developed. Commonly used treatments include chloroquine, atovaquone/proguanil, or artemether/lumefantrine. Start treatment as soon as possible. If you are treated with the correct medication early on, a cure is likely. Some people, however, are not cured (whether it’s due to late treatment, for example, or resistance to medication) and live with malaria for decades, suffering from intermittent relapses. Over the years, programs have been developed in endemic areas in an to attempt to eliminate malaria, but political and financial turmoil have led to varying effects, especially in sub-Saharan Africa. Efforts have been successful in several countries in recent year, however, with elimination being declared in United Arab Emirates (2007), Morocco (2010), Turkmenistan (2010), Armenia (2011), Maldives (2015), Sri Lanka (2016), Kyrgyzstan (2016), and Paraguay (2018). anemia, children, diarrhea, flu, headache nausea, health, immune system, immunity, infection, Jaundice, shortness of breath, skin, vomiting and diarrhea. I thought you might be interested in this article on https://universityhealthnews.com: What Is Malaria? And Are You at Risk?